Video: The man who ruined his career by moving to Manchester City - Opinion | The Transfer Tavern | News, breakdown and analysis on all things football! Robinho suited Real Madrid’s galacticos era perfectly, with his tricks and unpredictable nature, but also his big ego that led to a move that killed his career. As Real Madrid attempted to lure Manchester United’s Cristiano Ronaldo to the Bernabeu in 2008, they tried to include Robinho in the deal, and when the Brazilian heard about this, he wasn’t pleased. Disillusioned with the board, he sought a move away with Chelsea and the bright lights of London being the ideal destination. That move didn’t materialise, and as the transfer deadline loomed, Manchester City, fresh from being acquired by mega-rich Abu-Dhabi Investment Group, pounced on the opportunity. With hours left of the window, they offered a British record fee of £32.2m, which was quickly accepted and Robinho was a City player. There’s lots of rumours that the 24-year-old didn’t know who Manchester City was, and that’s probably true considering the profile of the club at the time, but money, and an escape from Real Madrid talked. This turned out to be a disastrous move that could have been averted if Robinho had sorted his issues out with the Madrid board or simply held out for a better team to save him. He lit up the Etihad for the 2008/09, linking up with fellow countrymen Jo and Elano to produce some the best football seen by City fans for decades. Robinho also finished the season as the club’s top scorer with 14 goals, but it was clear to see most of the players around him just weren’t good enough to work with his style. Issues regarding on-pitch effort and poor performances away from home frustrated new manager Roberto Mancini and City fans alike during his second season, which was also marred by a three-month injury. Robinho quickly became out of favour and in one game Mancini even substituted the club’s record signing 51 minutes after being brought on. A loan deal in August 2011 sent Robinho back to his boyhood club Santos before he signed for AC Milan in a deal worth £15m. Injury problems perhaps made worse by infrequent game time at City affected his time in Italy during the years that should have been his prime. At 28-years-old he was given the Milan number seven shirt, but he would never again reach the heights he performed at during his time in Madrid. 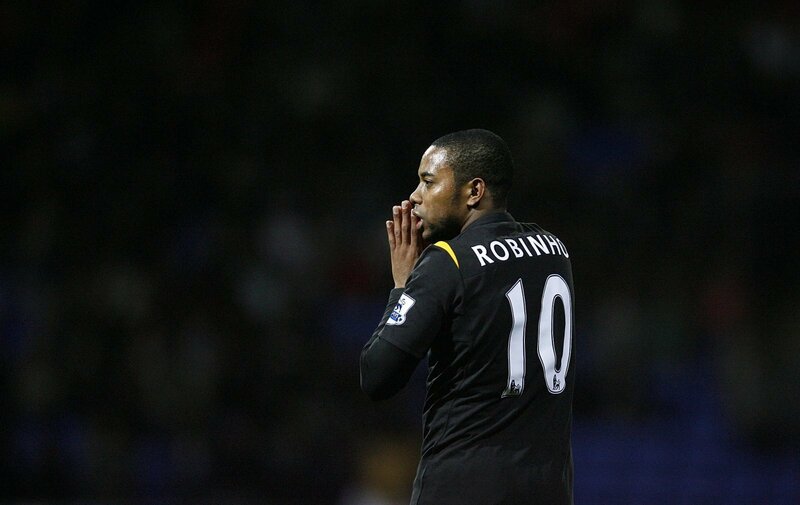 Robinho is an example of a player who just too wrapped up in his own ego to think about what was best for his career. He signed for a club that, at the time, was way below his level and then he lost all enthusiasm and fitness until it was too late to regain it all in time for what should have been the best years of his career.